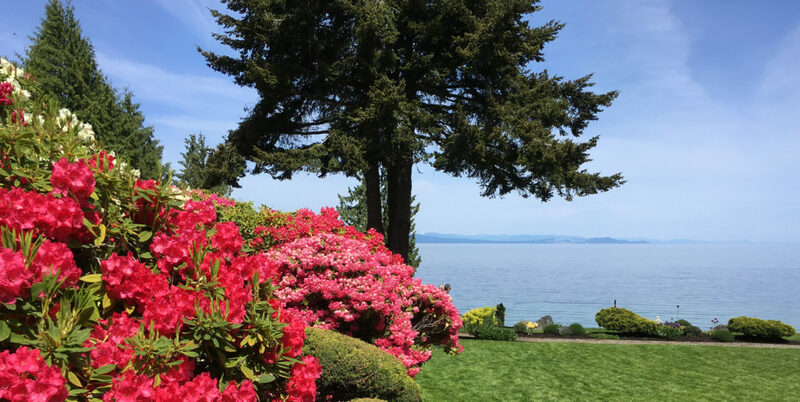 MARS is proud to host the 2019 American Rhododendron Society (ARS) Fall Conference. 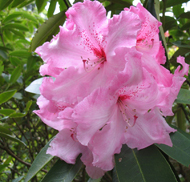 The conference features twelve distinguished speakers whose overall theme is ‘Rhododendrons as the World Warms’. Three bus tour options are included, along with a bulbs workshop and sale, two propagation workshops, plant sale, photo exhibition, and silent auction. Saturday and Sunday breakfasts are included, along with Saturday lunch. In addition, a no-host bar and full-course buffet dinner are offered on Friday and Saturday evenings, providing lots of time for socializing, catching up with old friends, and making new ones. Registration is required. Early registration is recommended as space is limited. If you have any questions not answered on these pages, please contact either Linda Derkach (Conference Chair) or Glen Jamieson (Chapter President). Note: If you plan to stay at a local hotel, please book early! Accommodations are limited, and September is still tourist season on Vancouver Island. Special rates for ARS Conference delegates may sell out fast! Limited to 60 seats — register early! Bulbs herald the arrival of spring and complement the blooming season of rhododendrons. They naturalize easily, are deer resistant and tolerate dry summers. They fit into any size garden from small rockeries to large drifts in meadows. Once planted, most will multiply, giving larger shows of colour as the years pass by. Limited to 30 seats — register early! I will tell you about the techniques used at the Rhododendron Species Botanical garden in the propagation of rhododendrons from seed. This will include a visual presentation, followed by hands-on application of the techniques described, with every participant having the opportunity to take home some planted seed. Wandering continents, mountain building and fluctuating global climates: Join me as I trace the evolution and migration of rhododendrons and peek into their potential distribution future as our global climates and ecosystems undergo rapid change. This talk will focus on how to propagate and grow plants using materials that are either free and/or scrounged from uses they were not made for. Rhododendron culture does not have to be expensive, and one of the challenges I enjoy is finding new ways to make discarded and unappreciated materials useful in plant culture. An amazing variety of insects frequent our woodland gardens. Learn how to provide the best conditions to attract beneficial insects and how to identify and manage pests of rhododendron, azaleas and other plants (including root weevils, climbing cutworms, azalea sawflies, lace bugs), using least toxic methods. A look at how we are successful (or not) with many of our most difficult species and companion plants. Many plants in the heather family have particular cultural importance for First Nations in Northwestern North America. Some are used for food, others for medicine and still others as materials in technology. Some also have particular spiritual value, and all of those that are culturally significant are named in the various Indigenous languages. In this talk I will present some key examples of culturally valued ericaceous plants. Tundra and alpine areas occur in the narrow zone between the farthest extent of trees and the permanent snow line. This is one of the harshest habitats on earth, yet plants thrive there. The talk will examine the conditions that characterize the tundra and alpine and go on to describe the plants and the adaptations that allow them to prosper against (almost) all odds. With Ken Webb (ARS President), Dave Banks (ARS Treasurer), June Walsh (ARS Membership Chair) and Glen Jamieson (JARS Editor): Ask questions about the future of the ARS! Before the middle of the 17th century to the end of the 19th century, Europeans had no knowledge of plants from North America, South America and the Himalayas. This program tells the stories of those very early explorers who broke trails into previously unknown regions of the world searching for new botanical treasures. These men were among the first to risk and sometimes give their lives in search of the botanical gems that we have in our gardens today. The presentation is complemented with photographs of rhododendrons in the wild, and the mountainous regions in Asia where they were discovered. This talk will focus on plants from some of the more remote and unexplored regions of Asia away from Yunnan, Sichuan, etc., where most plant hunters have travelled, where I have been specifically looking for new species of Rhododendron and those that have not yet been introduced or studied. A talk on the origins and evolution of Milner Gardens & Woodland, including the partnerships and planning that went into the creation of the Greig Rhododendron Species Garden. Wood is a familiar part of life, but what exactly does wood do for plants, and how do the properties of wood translate into growth and survival? Juliana will provide a primer on how wood and leaves function as a unit to promote growth in a wide variety of climates, and will reveal very different strategies that have been discovered within three Rhododendron clades: (Section Pentanthera), evergreen Azaleas (Section Tsutsusi) and broadleaf evergreens (Section Ponticum). Juliana will also briefly describe the objectives and achievements to date for the new Rhododendron Research Network (a collaboration between the American Rhododendron Society and an international group of Rhododendron researchers) that she and Erik Nilsen are co-chairing. We all want our gardens to look great, regardless of the season or the weather. We can achieve this with the use of natural and manufactured hardscape materials, and especially with well-chosen, multi-interest plants suited to our ‘new’ norm of wet, cold winters and hot, dry summers. A discussion of the techniques used at the Rhododendron Species Botanical garden to propagate rhododendrons from cuttings.